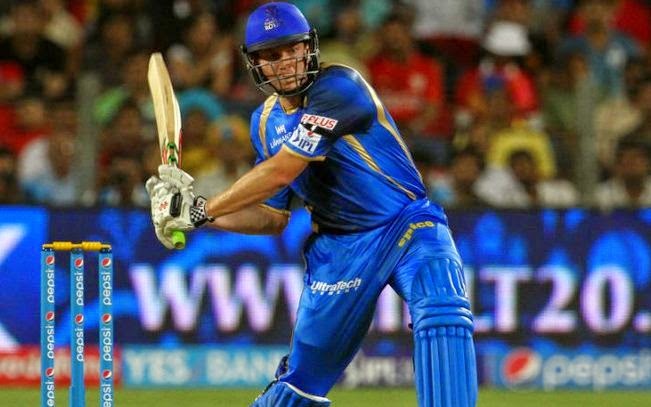 IPL 2015 One of the best has been taken by Tim Southee and Karun Nair. It was such an awesome catch on boundry line. Keep Scrolling below to find the video link or click on the above black banner to get that video. It was simply a two-in-one effort by both of fielders. 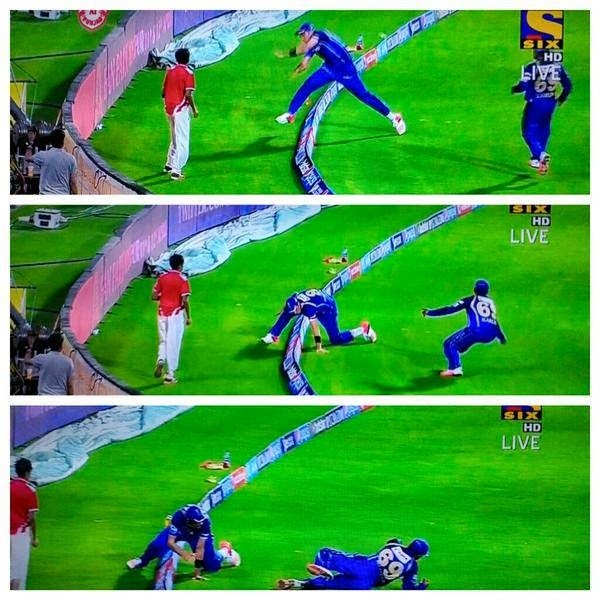 IPL 2015 Southee and Karun Nair Best Catch against Kings XI Punjab. 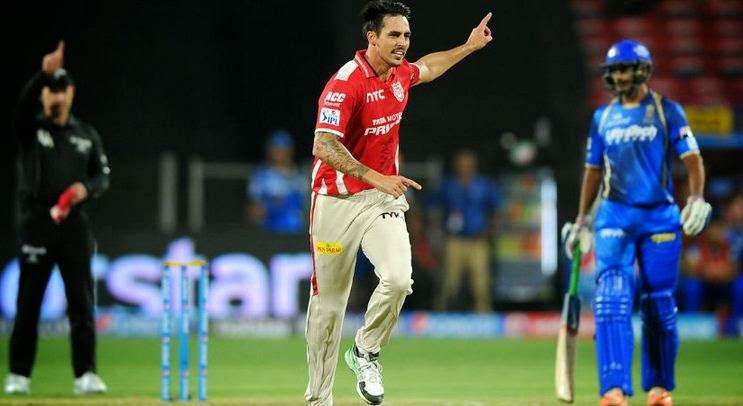 IPL-8 2015 Best catch of George Bailey captain of KXIP by RR players Tim Southee and Karun Nair. Faulkner to Bailey, OUT, Oh what an insane catch! Superb tag-team work from Southee and Karun Nair. What presence of mind. The fielding has veered from ordinary to extraordinary tonight. This is an extraordinary assisted hokey-pokey catch. On a length and on the leg stump, Bailey attacks it and sends it over midwicket. 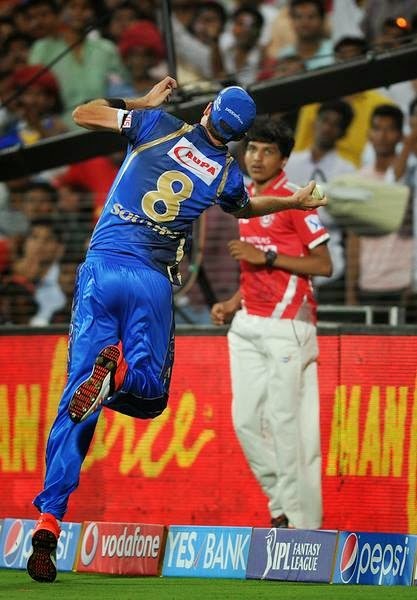 Tim Southee leaps, plucks out his right hand and takes it. But his balance is awry as he looks to go over the ad boards. However, he has the presence of mind to tag it to Karun, who dives across and pouches it! Rajasthan have it easy in the end as Punjab surrendered without a fight. 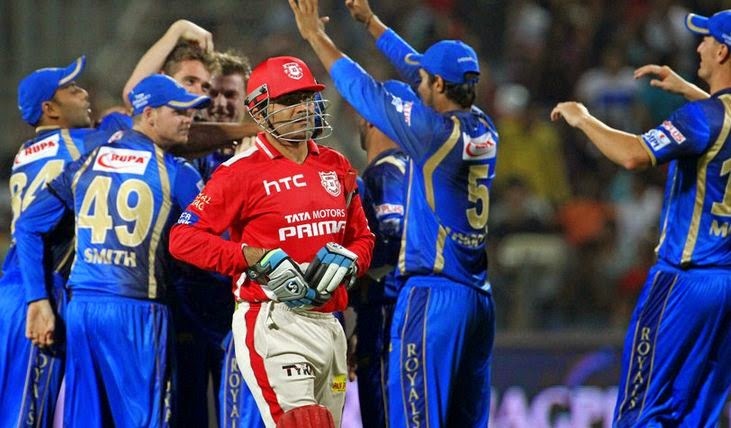 They lost Sehwag the very first ball and Saha got out to a horrendous runout. Maxwell followed playing a mistimed shot. Patel got himself in and Miller changed the tempo but both departed courtesy some tight bowling from Jaipur. Bailey left himself too much in the end as he came very late down the order to bat. 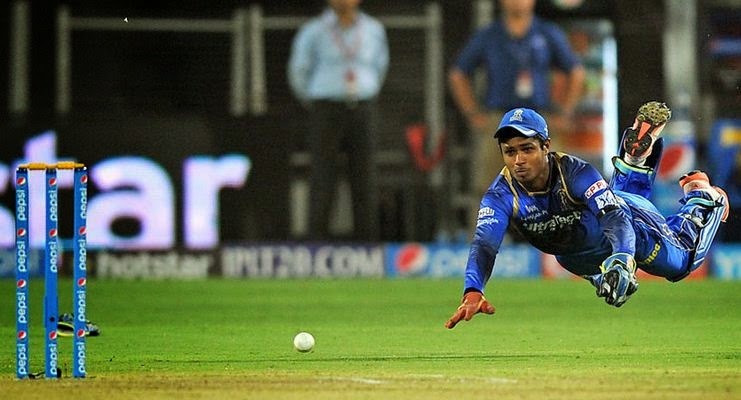 He provided some resistance but got out to a screamer of a catch. W OUT c Karun Nair b James Faulkner. Mohali have lost their eighth wicket. James Faulkner, Man of the Match: I just back my T20 cricket to be honest. It was nice to see Hooda show a lot of confidence in his first game. Mitch and me get along very well [responding to his tussle with his Aussie team-mate]. Play on. !